While being the sole artist on the bill not to hail from Iceland, Edmonton's Jom Comyn (aka Jim Cuming) has built up a well of goodwill thanks to a series of impressive releases and an excellent live set. 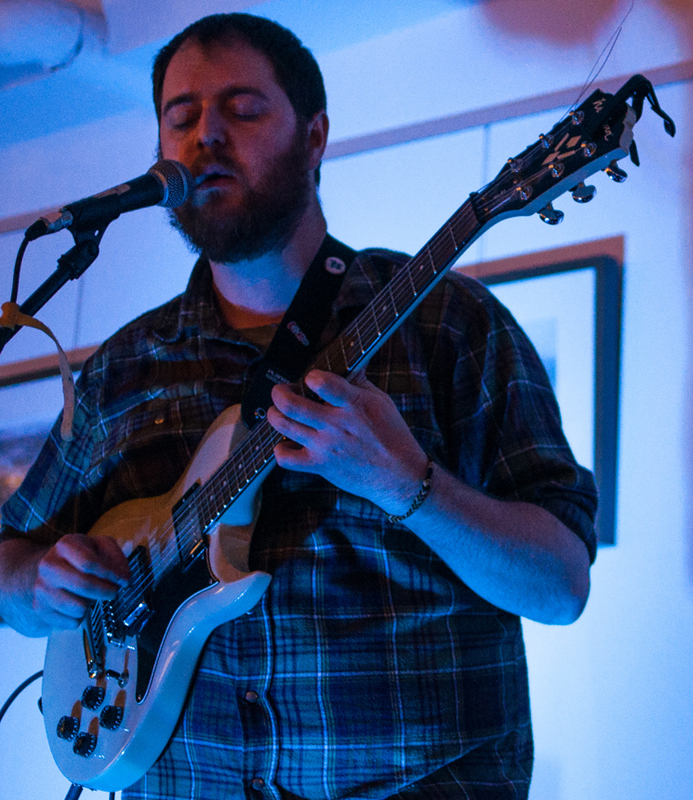 His style of songwriting, which favours pairing shimmery and melodic guitar work with his warm baritone vocals, resulting in a lush and gloomy soundscape, did not feel out of place at all in the lineup. At times it seemed to sail over the audience — chatter would pop up at infrequent moments, almost threatening to wreck the momentum. It came close to derailing a hushed reading of "Wish Upon A Storm," one of the highlights from In The Dark on 99 (All the Time, All the Time). Thankfully Comyn pushed forward on an otherwise engaging set, choosing to end with a cover of "Solsbury Hill" that may have also sailed over people's heads (the choice to cover Peter Gabriel can sometimes be a left-field one) but was a fun surprise nevertheless. Jom Comyn "Lost in Time"